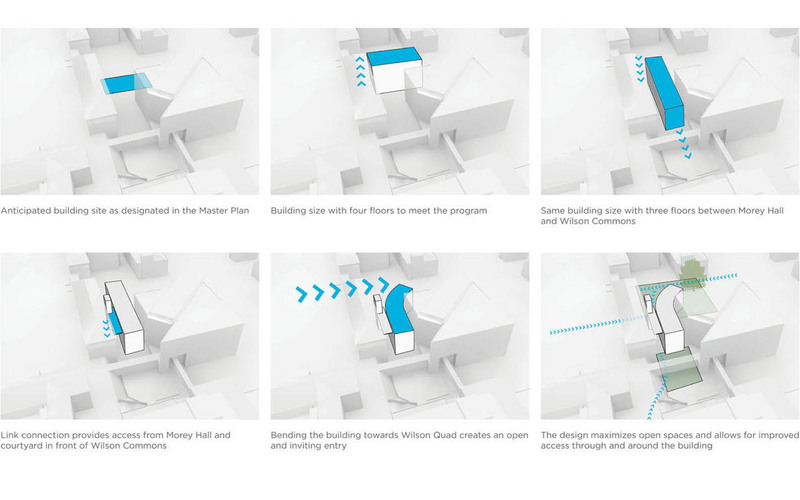 The goal is to create a vibrant work of architecture that is worthy of its central site and is as dynamic, engaging, and open-ended as the programs themselves. 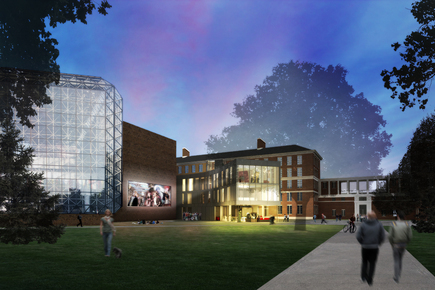 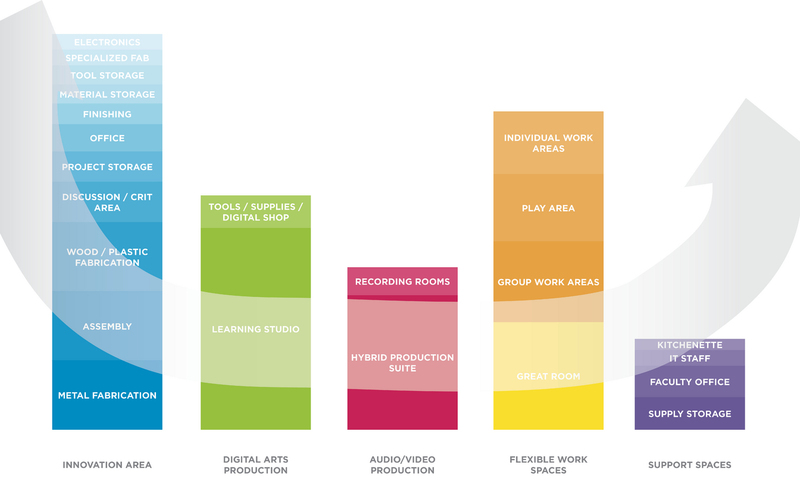 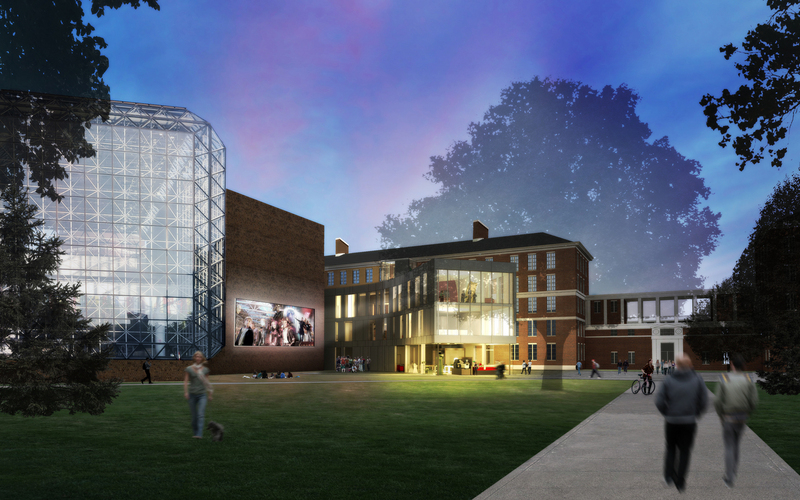 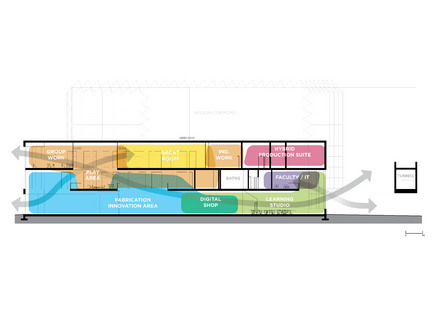 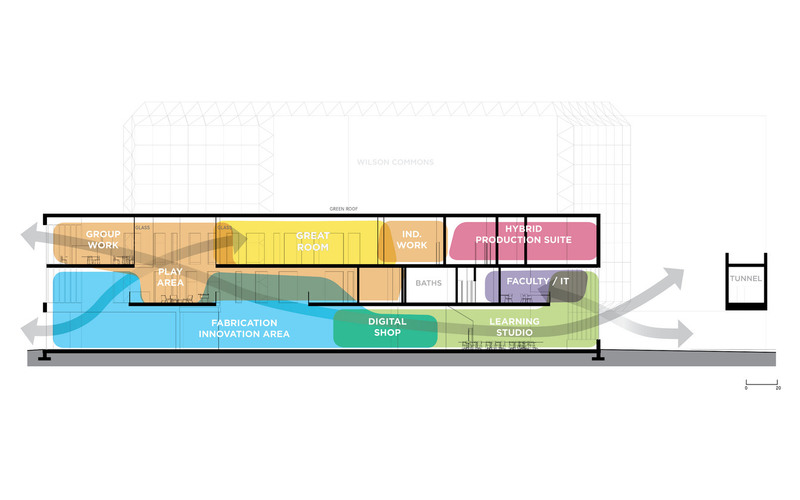 The simple design creates a flexible, permeable, and dramatic new center for creative exploration, capitalizing on the intersection of digital arts and engineering. 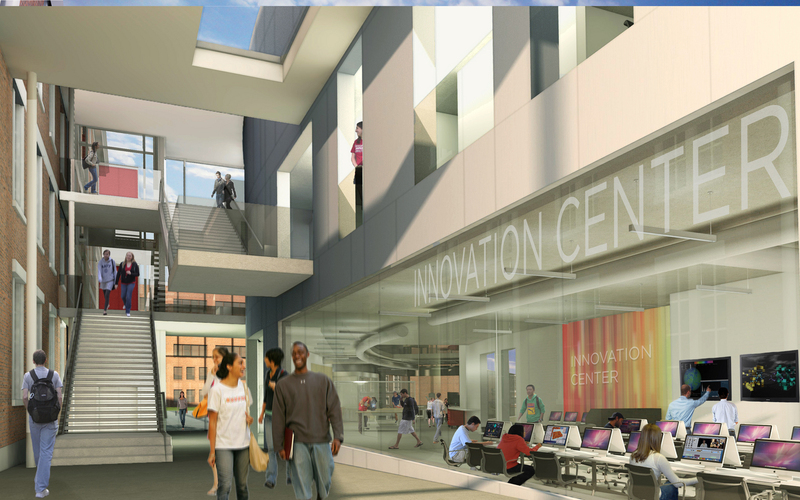 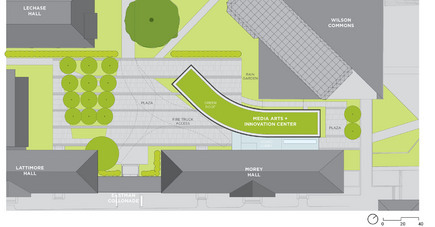 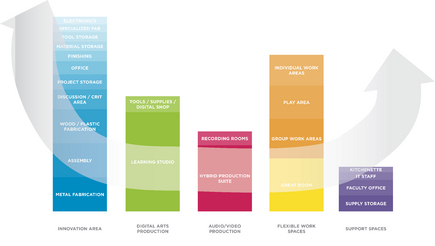 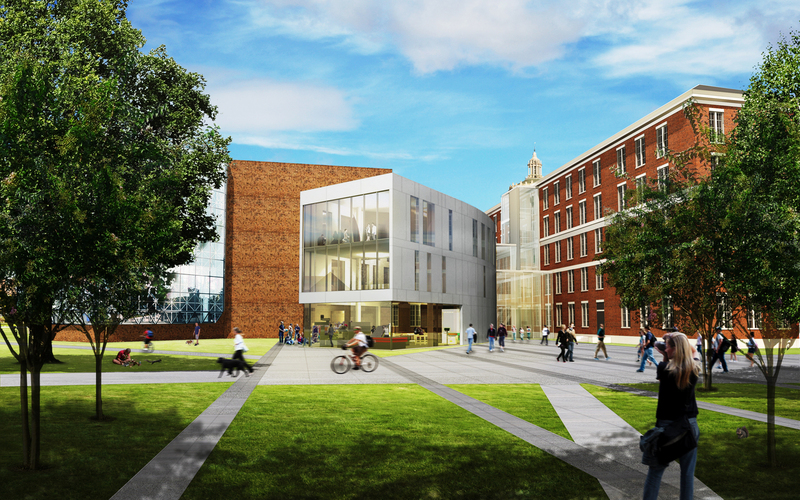 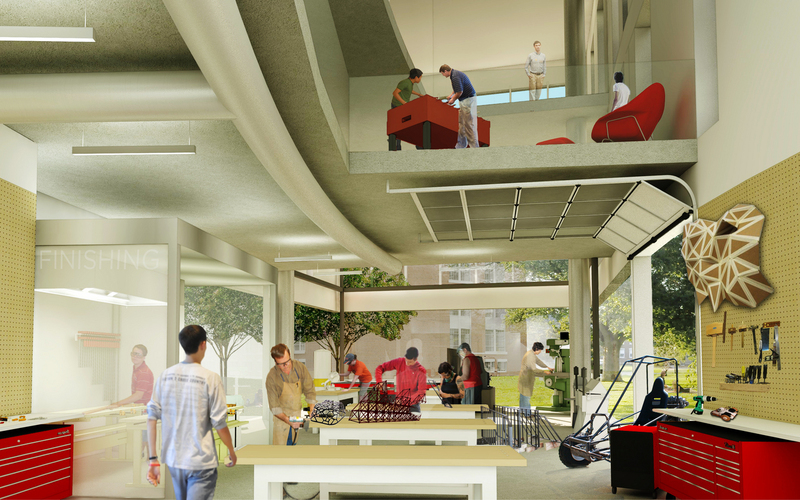 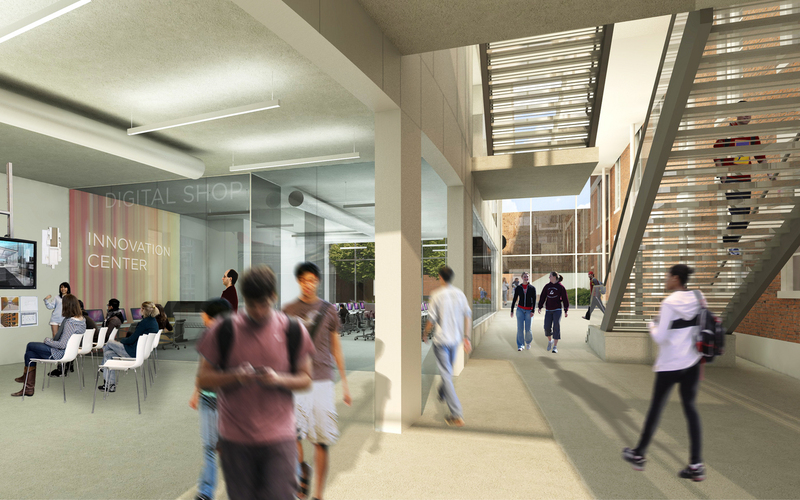 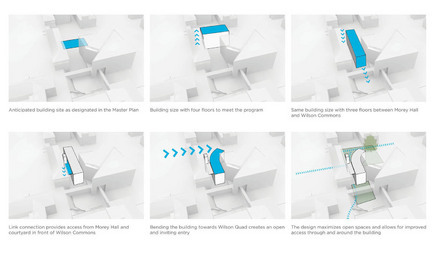 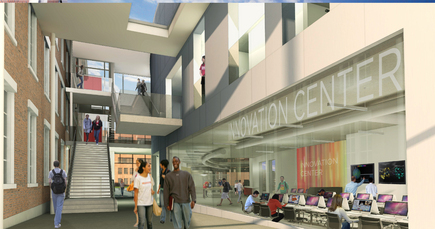 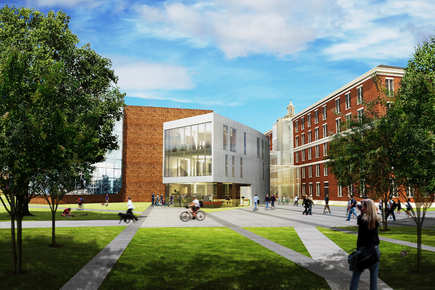 Taking clues from both the site and program, the design concept strengthens connections; between disciplines, between individuals, and between various parts of the campus. 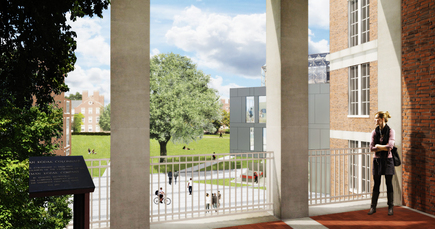 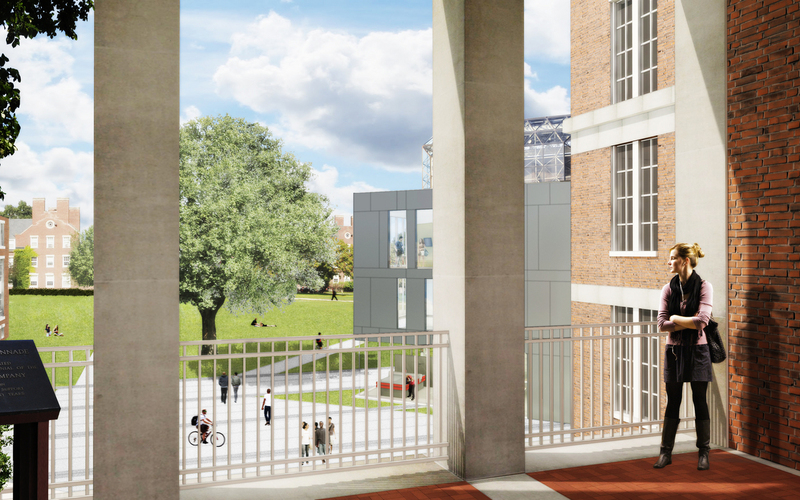 The sweeping form engages the enormous tree and the Wilson Quad to the west, and offers views from the northeastern spaces of the iconic library dome. 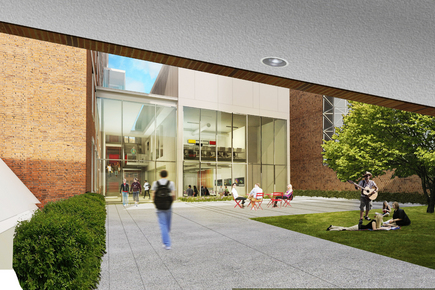 A bright new grand lobby creates an interior pedestrian path linking Wilson Quad to Morey Hall, the Rush Rhees and Gleason Libraries, and the northeastern campus. 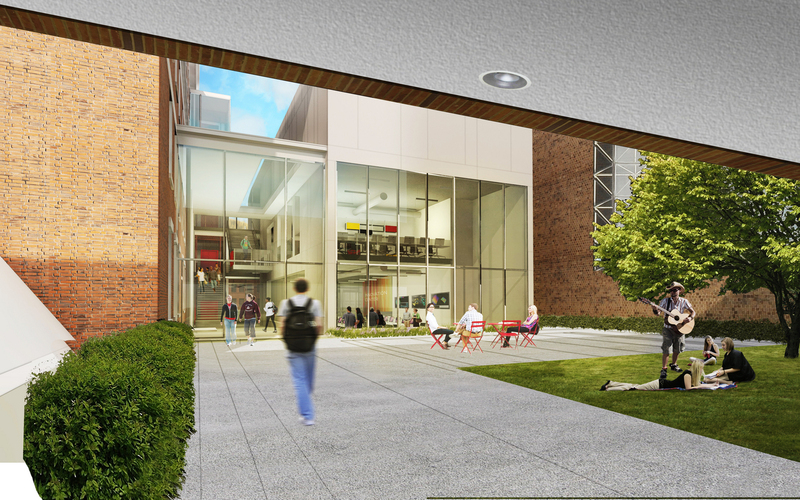 Sited between historic Morey Hall and the new building, this space creates a dialogue between the school's history and its future. 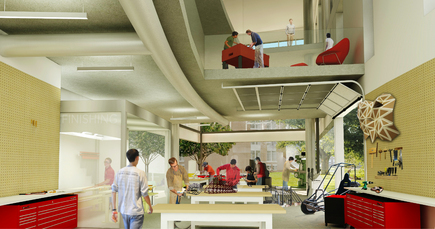 The simple open plan and the relationship of interlocking spaces create connections between all areas of the building. 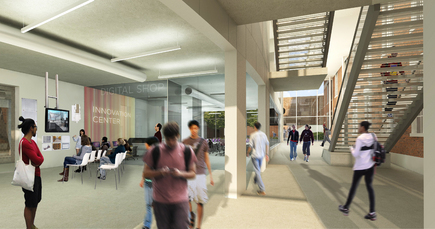 This sense of permeability and openness is legible from the exterior, reinforcing the facility’s relevance and connection to the entire campus. 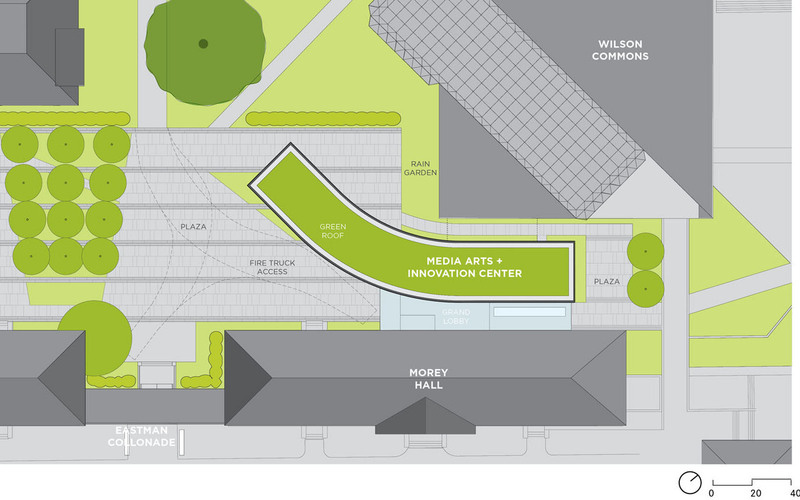 The design employs sustainable strategies throughout, from the green roof visible from the upper stories of Morey, to abundant daylighting, efficient mechanical and electric systems, high air quality, and durable materials.